“Well, the rumor going around is that it’s going to be Nate Diaz vs GSP [Georges St-Pierre] in Los Angeles. I don’t think so. From what I hear, GSP doesn’t want that Nate Diaz fight. 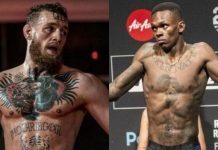 For him to make 155 [pounds], which him and Nate Diaz would fight at in Los Angeles, it’s too much of a cut. 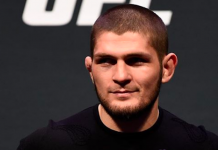 What he wants to do is wait and fight the winner of Conor [McGregor] – Khabib [Nurmagomedov] which is happening in September. So that would put GSP’s fight line right around December. He’s not making 155 for Nate Diaz. Despite the words coming straight from UFC president, Dana White that a fight between former UFC welterweight and middleweight champion, Georges St-Pierre and Nate Diaz is in the works for UFC 227 on August 4th, many have remained skeptical. 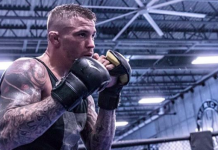 Recently, St-Pierre’s former training partner, Kenny Florian revealed that his coaches were unaware of the potential fight being in the works. On top of that, Brendan Schaub shares the same manager as St-Pierre and has been right when hinting at big fights in the past before. Most notably, the McGregor vs Floyd Mayweather super fight in boxing. 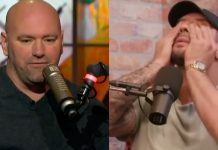 Regardless of whether or not the former UFC heavyweight contender, Schaub ends up being right, St-Pierre could still fight Diaz either way. 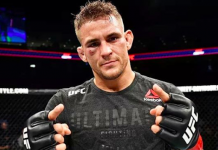 But just as recently as March, St-Pierre stated in an interview that he has no interest in fighting Diaz as he believes it wouldn’t be worth the risk for his legacy. 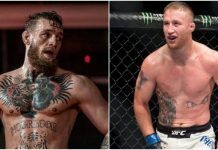 Back to the highly anticipated hypothetical lightweight title fight between McGregor and Nurmagomedov, the champion, Nurmagomedov revealed last month that he is in talks to get a fight with McGregor done but won’t wait forever if negotiations take too long. This article first appeared on BJPenn.com on 5/10/2018.